After a busy summer with my husband and boys, I’m finally back at my scrap table creating stuff again. I needed the break. It was good to step back and pay attention to my loved ones and make some changes that I’ve needed to make. Now that the boys are in school again and my littlest has gotten settled into Kindergarten, I’m free to get working again. I’ve decided to look into going back to school for a Fine Arts degree. Not completely sure if I will, but I’m taking a couple of courses to dip my toe in and see how the water feels. I’ve made a few changes to this after the critique session, but haven’t taken a new photo yet. I’ve moved the word ‘baby’ closer the the photo, overlapping slightly. I’ve added a journalling date above the photo. And I put a muted banner sticker over the ‘1917’ in the top right corner. The red numbers drew more attention than I wanted. This one I’m happy with as is. If I could move the title slightly, I might, but I’m not losing sleep over it. For our second week, we learned about size and shape and applied it to our layouts. 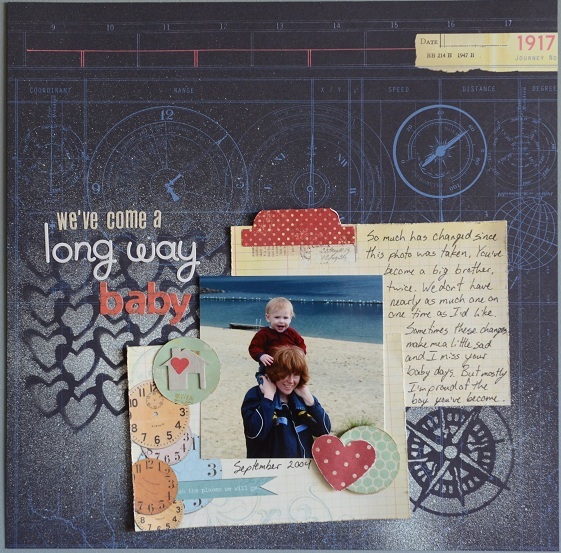 This was inspired by Ronda Palazzari’s OLW challenge on her blog. I loved her original OLW challenge blog and am thrilled to see that she’s reviving the challenge on a smaller scale. Here I’m playing with contrasting photo size. 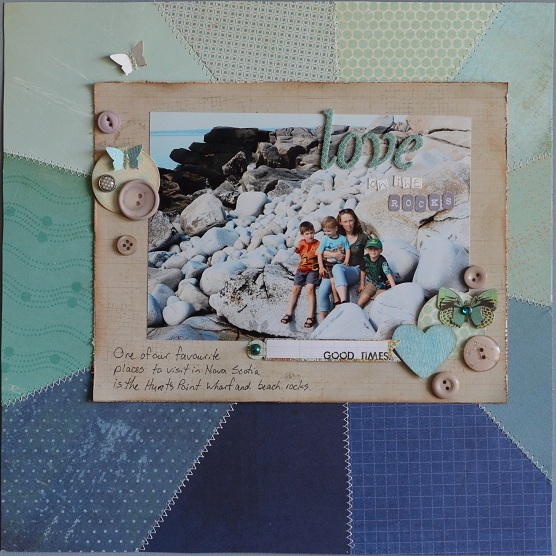 I also was inspired by the current colour combo challenge on the ScrapFit challenge blog. 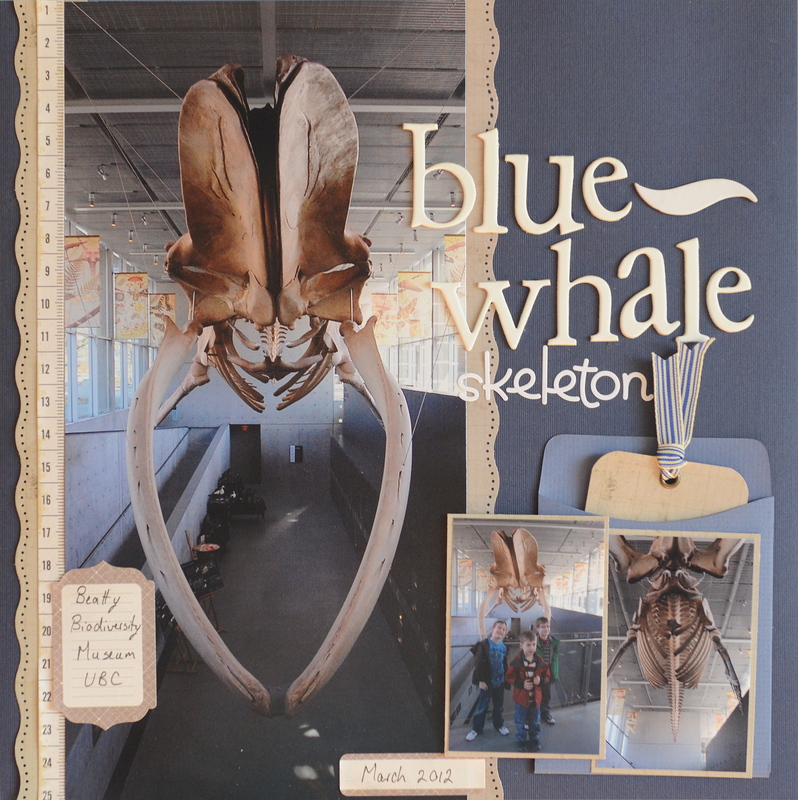 After this morning’s critique session I removed a couple of the chipboard pieces to see the difference. Wow, what a difference. Lesson learned: when you think you’re done, look for something to remove. Or two. absolutely love that you are unlocking all kinds of potential. I am so happy to see you spread your wings and take that leap. 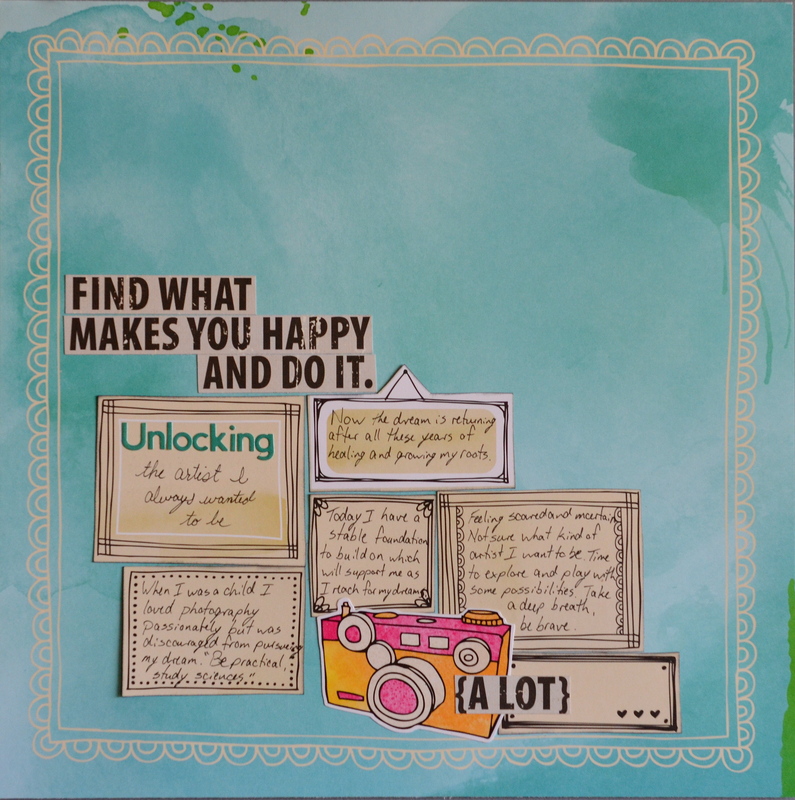 All of the layouts are lovely (and what a difference the removing of chipboard pieces makes) but your journaling really touched me on unlock. Great job and I am so excited to see that you are learning and loving the critique class. I so hope she does this again, I really wanted to do that…just couldn’t afford it at the time. loved seeing those gorgeous pages! 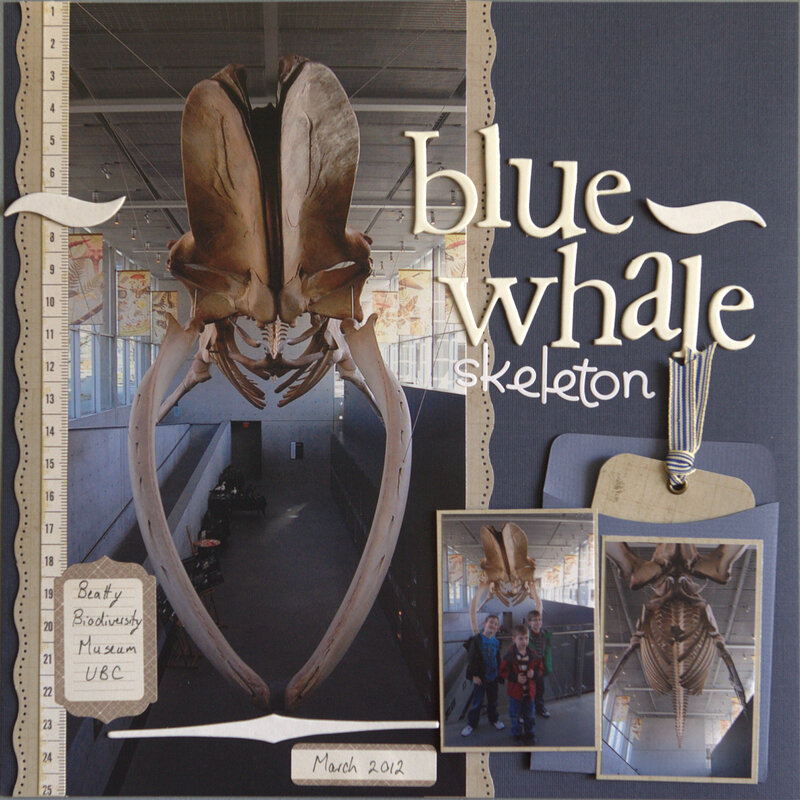 That big whale skelly pic is amazing! I adore the love on the rocks page; colors so beautiful. And every mother alive can relate to that first layout; in fact, i think I’ll have to do one w/my feelings now looking back on an old photo of my first born. That is such a special time; ;that one on one w/the first one! thanks for sharing.